In the article SaaS: How Quantified Self data is disrupting Professional Sports Part 2, I briefly went into compliance but personal feedback from coaches felt that I should have expanded that part into it’s own guide. I don’t know what the ideal monitoring system is for professional teams but do have experience working with small groups and know what works for some. I have been reading a lot of online interviews and blogs that touch on the subject of monitoring and have noticed a very ominous trend, everyone is talking about it but not too many are showing it. Besides individuals showing their own workouts and training journals, very few coaches are showing any example of data, making me wonder who is really doing what they say. With all the options in getting heart rate variability (HRV) available to coaches, many have asked why I choose to use the ithlete Team System with athletes I work with. Every athlete is unique and decides how they want to monitor and I never force anything on anyone, but eventually an event, usually disappointing, leads an athlete to want to get answers and the right direction. A window of failure or injury is a time that many athletes and programmers are interested in resetting their approach to monitoring and I have learned over the years some athletes and coaches are interested and some are not for different reasons. What I do know is that compliance, or getting someone to follow what is needed, is the most important part of monitoring because a coach can’t analyze data that is not there. Every trade show or vendor display will have data and analysis type products that get coaches excited, but my mantra is show me the data of a team using this product before I buy. User experience, or what the athlete must do each time they get a sample of data or measurement. No matter how great the algorithms or impressive the dashboard is for the coach, if the athlete is not engaged or values the information, the process fails. I have found that the latest iteration of ithlete is far more sustainable because of the updates and hope this article can show you how to improve the compliance rate with the system. 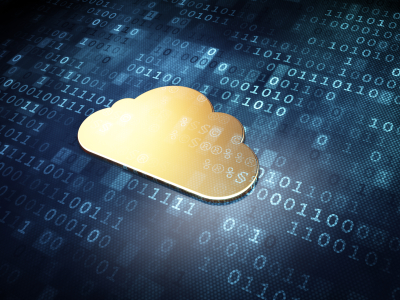 Data that is not valid and extremely time consuming could be not worth putting effort into collecting it, but technology solved that problem by making things faster and easier. Years ago HRV was cumbersome because it wasn’t designed for a team environment; it was mainly for lab testing. Now nearly all HRV solutions are mobile with smartphones and Bluetooth devices, so the antiquated laptop and individual athlete approach is obsolete with many teams. Being one of the first adopters of ithlete because of the expense and burden of other tools, I understand Shawn’s concerns but in reality they are not the primary problem. In fact most companies that provide HRV are dealing with compliance issues with at risk clients because the athlete many not connect the dots or be interested in testing. After reading the blog post a few times over the weekend, I wrote a list of the challenges coaches have with getting data in general and the specific challenges of using HRV data for team sports. The athletes I have worked with that chose to use HRV monitoring are not the same personalities as high profile NBA stars, but many players are not ignorant to player monitoring and are opting to freelance their own testing needs. Since many HRV solutions are available to consumers, not just sport scientists and Olympic training centers, the individual athlete has the choice to enter the Quantified Self arena. Here is a summary of the main challenges Shawn has identifiedand some logical and research supported ideas that can help fight the data fright! The idea that HRV is affected by sleep and time zone adjustments factoring in to the scores is a valid point. How do teams make adjustments when east coast and west coast trips factor to wake times or biorhythms of athletes? The good news is research with elite athletes not only supports the use of HRV monitoring with athletes while traveling, it’s also shown to be a great tool to see the effects of travel fatigue and training load. If I were a GM, I would want this data used to make sure my practice schedules and training was more precise to optimize each day of recovery and workouts. So, what at first looks like a problem with HRV monitoring, turns out to be in actuality a great way to reduce risk with athletes and experiment with training variables. Since Shawn is warning his athletes about blue light and sleep quality, HRV can help identify that intervention if combined with a sleep tracker. Unfortunately that means the athlete will have to be compliant with two devices, something that many athletes may not be eager to participate in. A common question beyond what do the HRV numbers mean is how to help athletes deal with scores that are either low or even high. Four possible scenarios exist with getting a “Positive” or “Negative” score and if a coach doesn’t deal with the education of the value and meaning of the scores the athlete could be disappointed or spooked. All data, not just HRV data, has the same problem and physiological monitoring can learn from other feedback experiences athletes have encountered for years. Everything objective or even subjective can tamper with an athlete, but the point of HRV monitoring is to help assist decision making of all parties, not be the only metric that decides games and performance. If history can teach us a lesson, don’t underestimate the will of the heart of a champion and the mental fragility when the game is on the line. Probability has limits and one data point at one moment of time is not a ticket to ACL tear or a guarantee to get the gold in a race. A proper perspective to athletes is to share it’s one of the many variables that is taken into considerations and not a crystal ball. Shawn made a valid point that monitoring HRV takes time, and reviewing each athlete does mean one has to invest a few minutes a day into reviewing the data. 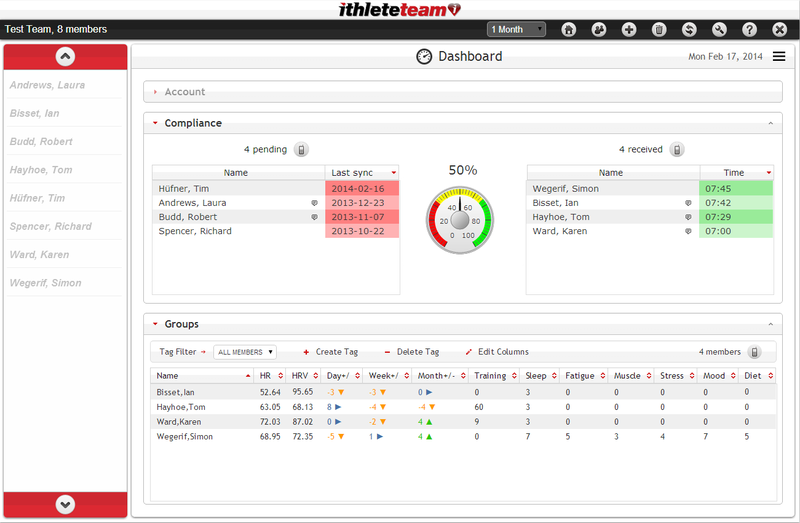 HRV monitoring with ithlete takes 60 seconds in the morning by the athlete. Now that ithlete offers subjective indicators and notes can be added it adds slightly more time. Athletes are glued to their smartphones and while it does take time what doesn’t? The new finger sensor reduces time and reduces the complications or inconveniences of adding one more step with a strap. 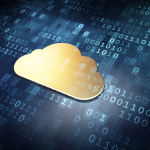 With smartphones having immediate cloud syncing, a coach can wake up and see scores from all of his or her athletes immediately before they arrive to the facility. Not only are you getting everything passively aggregated with wake times and HRV, you potentially had early message or notation from the athlete. Athletes can elect to share subjective indicators of sleep, energy, mood, diet, and soreness and this takes seconds. Coaches don’t have time to talk to each athlete one at a time, and need to screen and use the little time they do have to address the most important issues like medical concerns. 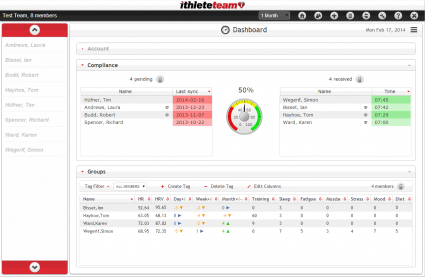 The ithlete team system is not just an HRV monitoring tool, it’s a complete way to get both subjective and objective data from an athlete better than conventional analog (pen and paper) and saves time. I have to agree that the last argument is most likely a fair point with trying to implement anything else besides playing the sport. Athletes in team sports, namely professional ones, are generally not addicts to HRV and physiological monitoring in general. In fact I have been using different terms because athletes are more interested in their muscles and nerves with speed and power so I have to use slang with some athletes. What the challenge is with monitoring to get immediate engagement and sustain interest and value into the process. I don’t have the perfect formula and have athletes that do no monitoring at all, but the percentage of athletes that are is growing and I don’t work with new athletes that don’t follow the process. Most team coaches I talk to are not in the same boat as myself with picking who I work with, but believe it or not I have found the best method of buy in from those in the trenches. When you believe in the data and want cooperation, the key is to see the athlete’s perspective and use the cause and effect of information and lack of information to help them draw conclusions. Here is what I have learned the hard way and from wiser coaches. Talk to the athlete at their level with their terms to create a connection and bridge it with commonalties to what you are doing. At the right times more real person to person dialogue is healthy but starting off with deeper discussions is better than peeling top layers from a time standpoint. Apply triggers to trends and patters for additional blood tests, sleep monitoring, and other further analysis. HRV is about autonomic state and is a summary or earlier warning system, make sure that the scores and subjective indicators lead to more investigation or action. Sell the monitoring in multiple ways by hitting the entire culture with visible and verbal adjustments to the environment. A team meeting or conversation is not enough, it needs to be constant and from multiple directions. Display data on large flat screens to create a sense of value and open dialogue about the information. Nothing beats transparency and an objective line plot showing a summary of the athlete vividly. One noted authority in sports data, Jose Fernandez from Haloview, suggested the software Klipfolio for small schools or teams with limited budgets and time. 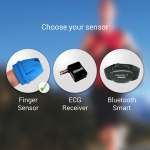 Use the physiological monitoring data and make decisions and follow up questions based on it. If the athlete is aware that you looked at the data daily they are likely to want to take it daily if they think you are making decisions on it. Just getting the numbers for “data purposes” is always suggested but rarely works in stubborn cultures. Create a hierarchy of interventions and currency based on the influence to the autonomic nervous system. Athletes need to know that the measurement has influences and decisions they can make on their own or together. Thank the athletes that do provide data and encourage monitoring by being sincere about it’s value. Sometimes thanking the athlete helps them understand your perspective but remember to tell them it’s for their benefit. Obviously the above list is just the tip of the iceberg but some teams are doing some great things and are too humble to boast what they are doing and some teams are embellishing though. Athletes are smart and observe how one uses information in training by trying to see how your training system works. After a few seasons they are nearly coaches themselves if one has a program and is refining it. I have rarely seen a great coach overhaul training, and good programs are timeless with principles but do evolve based on objective and interactive information from athletes. Every coach has a system, and internally focusing on one’s own system is far more productive then spending hours hoping that someone across the ocean is doing something revolutionary. HRV monitoring will not be a panacea but it’s a great starting place for getting objective indications of training.